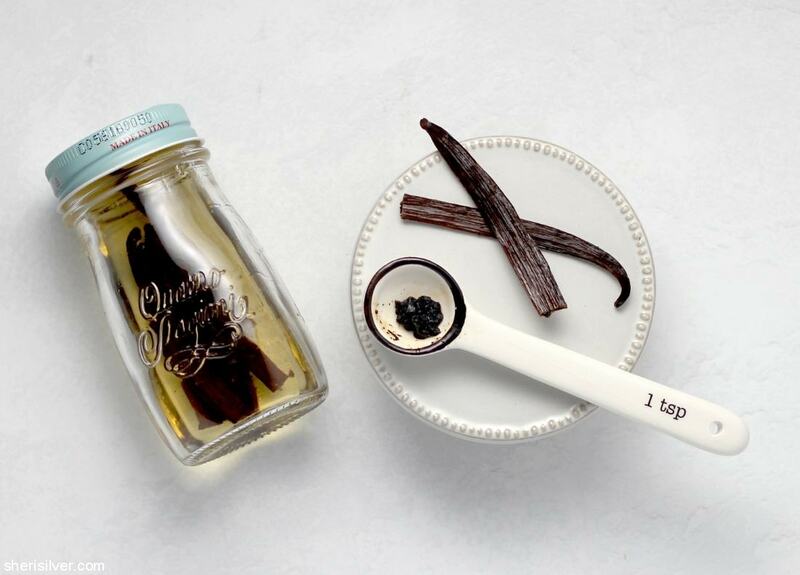 Did you know that vanilla is one of the most expensive spices in the world (saffron remains the most expensive)? I was not surprised to learn this, as I’ve noticed the price of whole vanilla beans going up steadily over the last few years. It’s frustrating because I absolutely love the taste of vanilla and love using the beans in recipes. 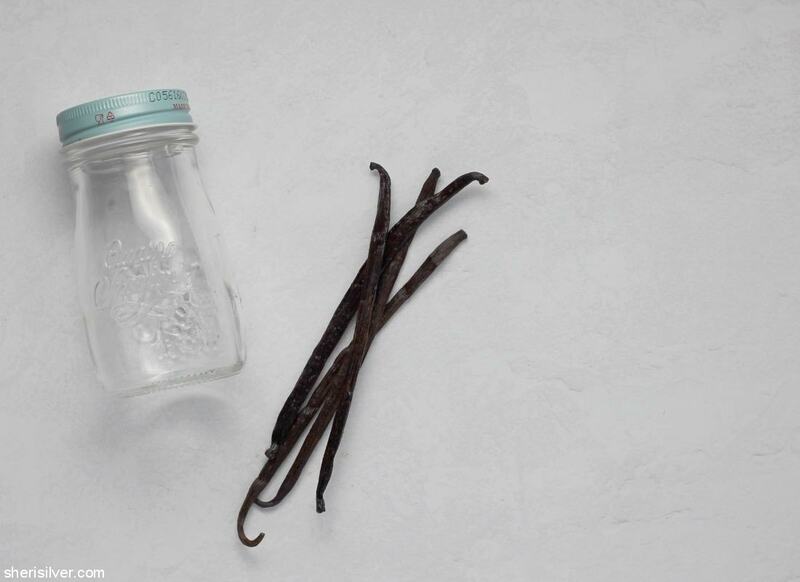 I’ve had the opportunity to work with a new client who sells the most beautiful vanilla beans, and found myself in possession of a few extras. I started researching the best way to store them (as I know that they can be prone to either drying out OR getting moldy if stored incorrectly), when I came across a tip on Cook’s Illustrated that looked intriguing. It involves simply halving the beans crosswise and storing them, cut-side down, in a partially-filled jar of vodka. Unlike other types of alcohol, vodka won’t impart any flavor to the vanilla, and it also acts as a preservative (if you were to just store the beans in an empty jar in the fridge they would be susceptible to mold). After 2 weeks the alcohol will have moved up through the beans, softening them and turning the seeds into a paste that is easily squeezed out for use in your recipe. The vodka can be reused for more beans; simply top off as needed. Effortless and effective – a win-win for these pricey beauties! Need some inspiration? Try these recipes! And you can always find more recipes – and kitchen tips – on Pinterest!